This is the end of WheelchairTrip. 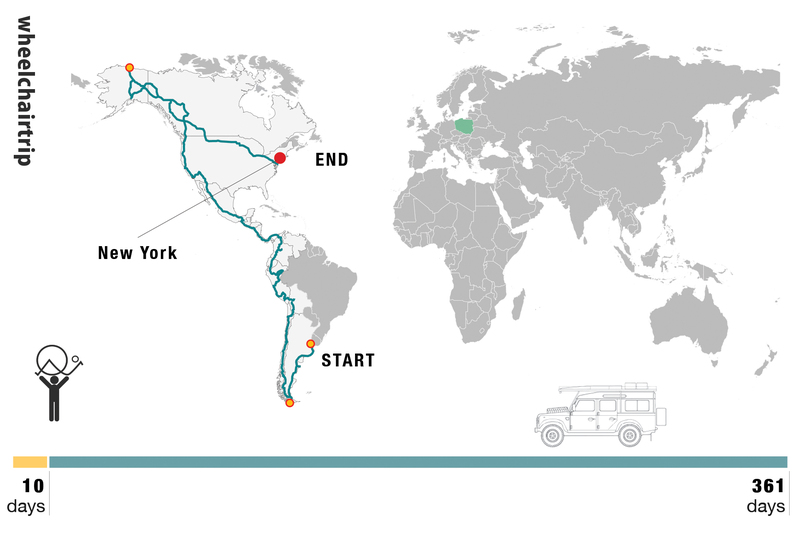 The expedition on double four wheels, during which Michał Woroch and Maciej Kamiński, two friends confined to wheelchairs, drove their twenty-year-old Land Rover Defender across the Americas, from Ushuaia in Tierra del Fuego to Prudhoe Bay in Alaska; from one end of the world to the other. 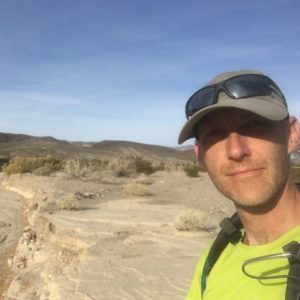 The final stretch of the expedition was not easy. On the way back from Alaska, after crossing Canada, the oil leaked from “Defe” at an alarming rate and forced the travelers to several interventions in a mechanical workshop. 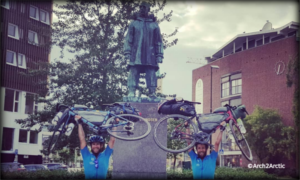 It seemed that”Charapa” (which is the other name that Michał and Maciej called their home on wheels) would not make it through all the way to Washington, especially when in the vicinity of Milwaukee once again a tow truck had to pull it off the road. 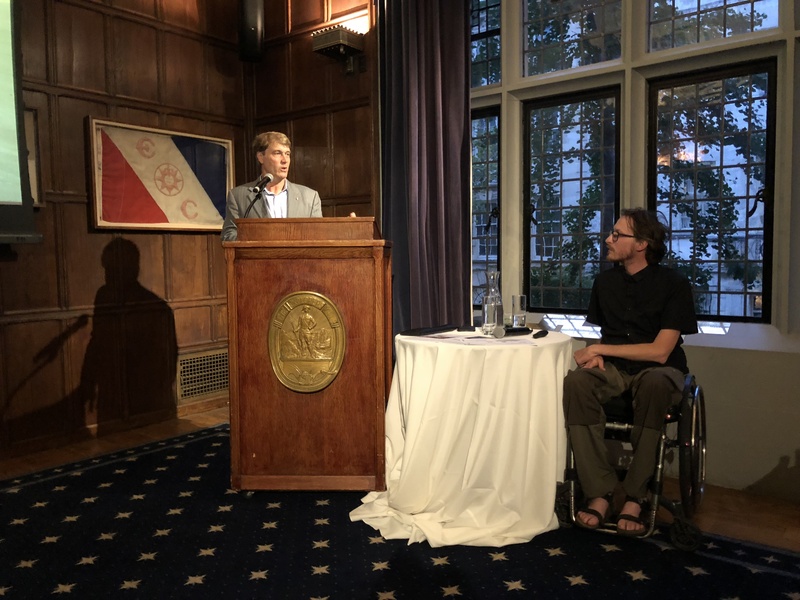 As if that was not enough, during a ride on a “bicycle” (a wheelchair attached to the engine and a handlebar, and an additional wheel in the front – author’s note) a car hit Michał on a street in Chicago. Fortunately, apart from a few abrasions and bruises, he did not suffer more. Though, actually, he probably suffered, but he neither said anything about it nor did he show it. 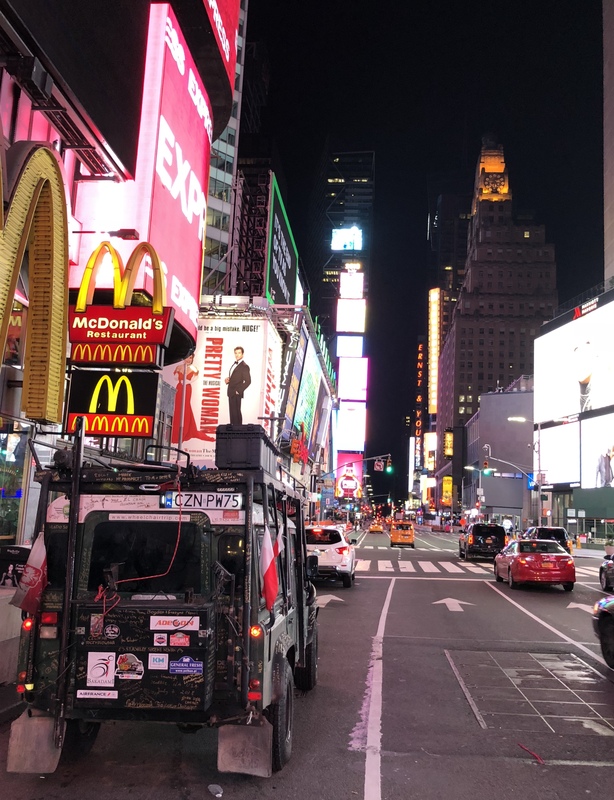 He just got into a repaired truck with Maciej and they reached Washington, DC to meet with local Polish community and the residents of DC, Virginia and Maryland at the headquarters of the Kosciuszko Foundation. 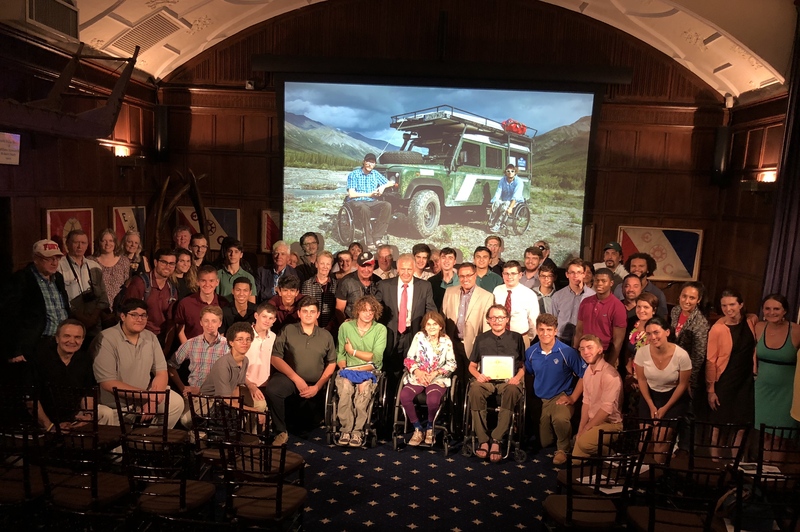 The final point of the trip was New York, where they charmed the audience gathered in The Explorers Club with the stories about their expedition that became a remarkable undertaking which only proved that self-determination in achieving the envisioned goal could eliminate obstacles. I have known Michał and Maciej for two years. In my own way, figuratively speaking, I traveled with them, though from a distance, through South America, and North America to the Alaskan tip and back to Washington, DC, where I had the opportunity to host them. During our meeting, I understood the real meaning behind the WheelchairTrip. 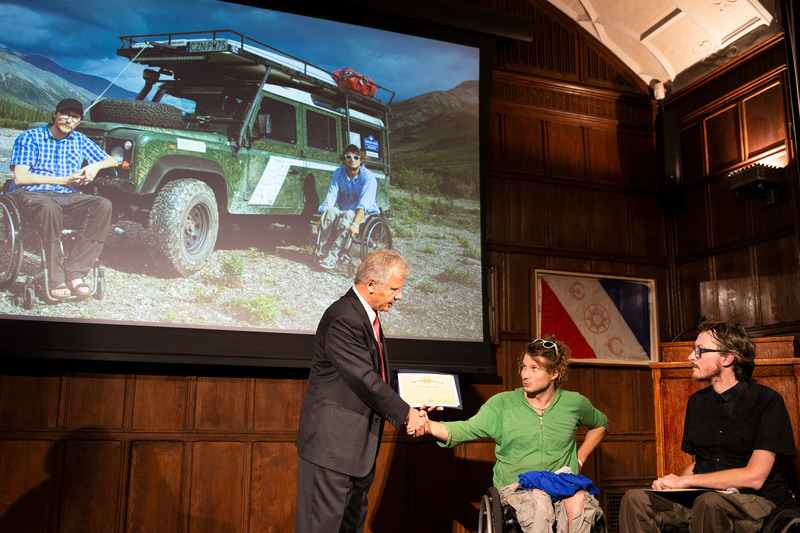 Their expedition reaches for human life’s highest possibilities with the limitations faced by its participants. One could say they squeeze life’s essence like an orange juice. Their award that consists of ordinary and extraordinary sensations, of getting to know the world, the people and yourself has been achieved with a lot of effort that itself required a lot of self-determination, physical and mental strength, as well as loads of patience. However, today Michał and Maciej don’t have any doubts that the results were worth every effort. The trip presented a huge challenge for those two wheelchair users. Michał called it “his personal K2”. – From the point of view of a non-disabled person, such a trip may be something ordinary, just moving from place to place. For us it was sometimes very difficult to pursue. Almost every day brought new challenges. Sometimes the road was tough and tiring; sometimes the broken car forced them to cope with difficulties of repairing it. Just very common lack of facilities for people with disabilities prevented the access to both local attractions, as well as any other every-day-use facilities. – Had I been aware of some experiences we would later encounter on our trip, I do not know if I would have undertaken it. During this journey, we carried out the tasks step by step. Now, in the retrospect, we can say that we have done a good job – says Michał. Their success also stems from the fact that… … they managed to get along with each other on such a lengthy trip. Two completely different personalities confined within a small space of the Land Rover Defender, trapped – freely, of course – in each other company for 24 hours a day, for the weeks and months. 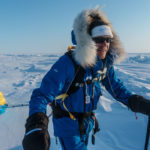 – Again, I refer to K2; watching our expedition, we appreciated how important the team and the teamwork were. You can see how rewarding it is to get along, and then return in the same company, which you were leaving with. We have succeeded. – Michał is happy. Despite the differences of characters, and sometimes the differences in opinions between Michał and Maciej, they perfectly complement each other; they create a harmonious tandem in which everyone knows his role. Maciej is physically stronger; he has stronger hands and is more mobile. I had the opportunity to notice that while watching his basketball game – on 10 throws he got 7 in. This strength allows him to be a huge support for Michał. I was impressed with this peculiar symbiosis of the two disabled people who help each other and try to make it easier to perform certain activities, just seemingly simple. During getting off the car, for example, Michał sits on one of the elevators installed in “Defe” and slowly lowers himself to the level of the wheelchair seat. At this time, Maciej, who is already in his wheelchair, pulls out his friend’s vehicle, unfolds it, sets it next to the elevator with Michał sitting on it and helps his colleague to slide to the wheelchair. 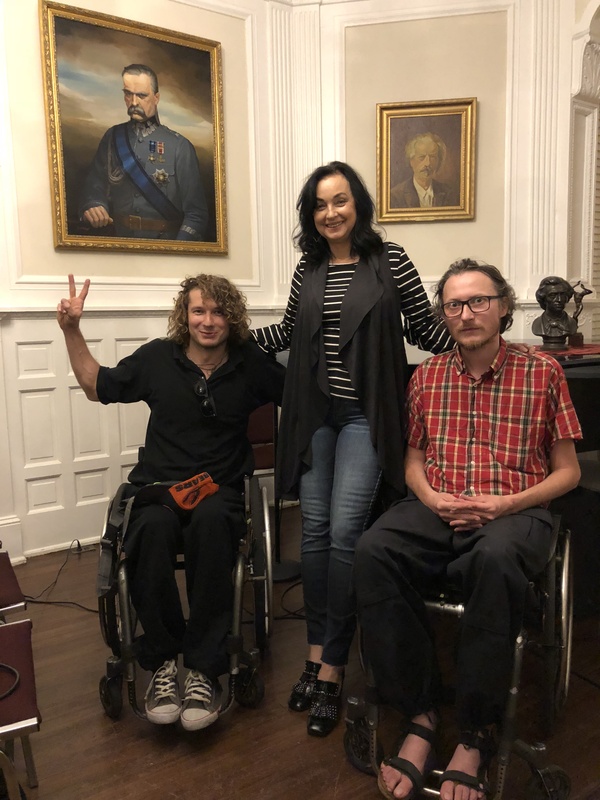 One day I observed how Maciej almost without thinking reacted in the situation when Michał needed help – his hand automatically reached out to give his friend’s wheelchair push through an obstacle. 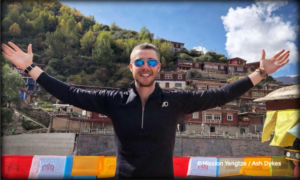 In return, Michał offered Maciej a pull behind his bicycle; the same bicycle, which Michał rode for hours on their trip, traveled tens of kilometers, visiting, watching and enjoying his freedom in motion. The coordination of impossibilities that can be achieved with limitations that must be accepted is the distinctive feature of the WheelchairTrip. 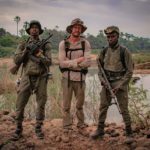 One example to be given here is their impossible visit on the Amazon River, which they accomplished against the extremely difficult and dangerous conditions. Another example could be their failed attempt to tour Machu Picchu, which turned out to be inaccessible without the physical involvement of other people. Where does the motivation to overcome obstacles and to establish more and more difficult goals come from? According to Michał, its source lies in … the heart. – If you have a goal and are determined to realize it, you just fall into the vortex of pursuit and go forward. If the goal is in the heart, the body will cope with any difficult situation. You just need to act. – When you are sitting in a wheelchair, you actually forget about it. This sentence of Michał sounds a bit like a motto, and maybe it should even be a title for this part of the story about the WheelchairTrip, maybe even for the whole story on the expedition …. I got the impression that it was not the inconvenience of logistics – inconvenience of high curbs in cities; the lack of bathrooms adapted for wheelchair users; the lack of simple activities, requiring more attention and effort – that reminded travelers of their disability all along the way. They’ve already gotten used to it and learned to live with it. It turns out, however, that their disability was mostly brought to light by the eyes of other wheelchair users met along the way; it was reflected in their sad eyes. – Meetings with other people with disabilities, conversation, and watching how they look at the world, make people think about their own disability. – says Michał. Undoubtedly, to look at yourself through the perspective of others comes down to comparisons. – There is a lot of complaints in Poland about how disabled people are in disadvantage and that the state does not help, that others do not help. 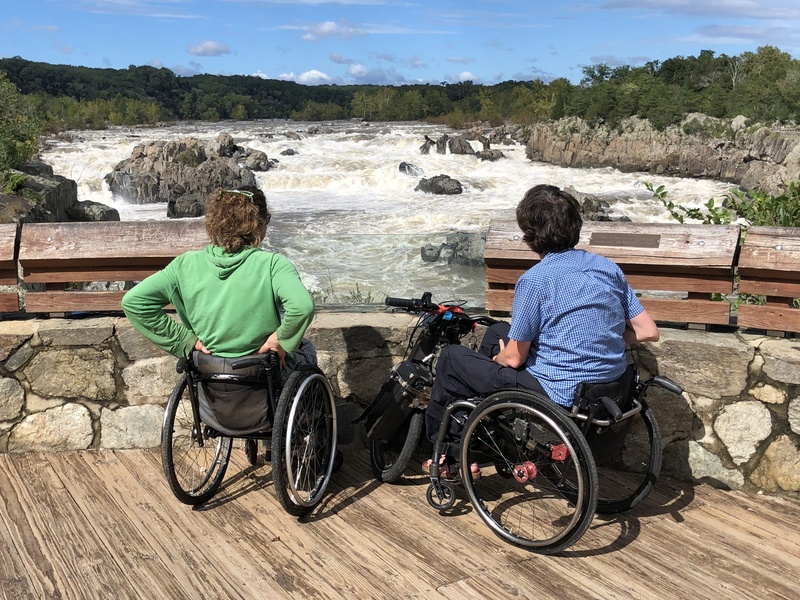 It is reasonable to take a wheelchair to Peru to see that it is even worse there; that traveling, like we did, is practically impossible there. 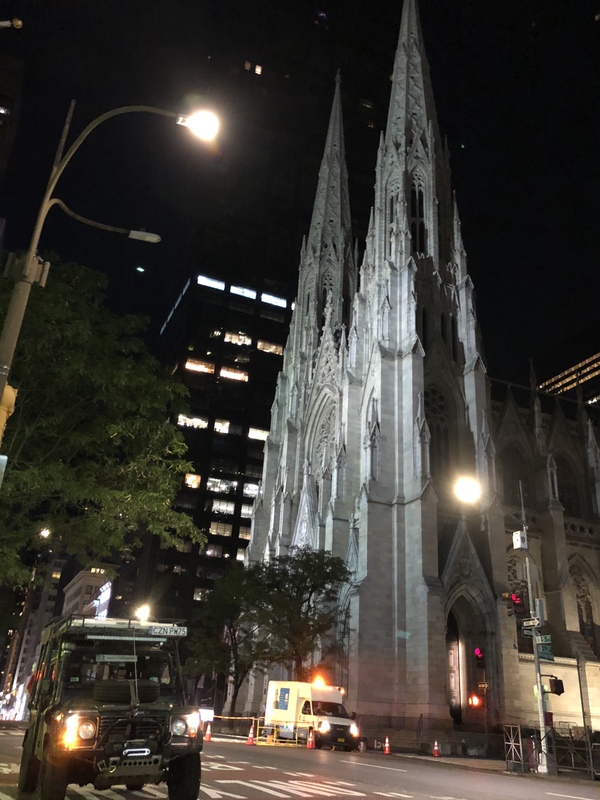 We ourselves were waiting impatiently for seven months to finally enter the United States, because there are more accommodations for disabled people as there are similarly in Canada and Europe. 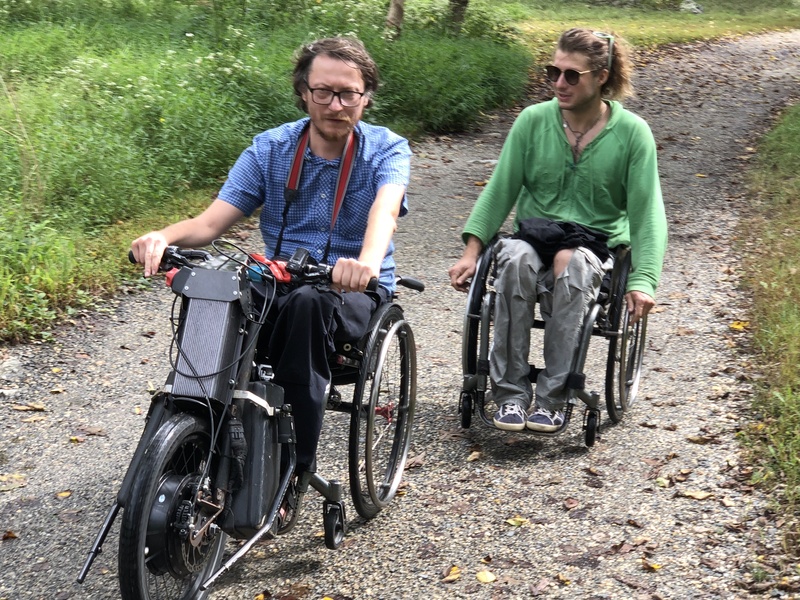 In Peru, Michał and Maciej met Remigio, also a wheelchair user, who showed them some of the very interesting nooks in Pucallpa, inaccessible to regular tourists. In Canada, they met Dave, a man close to their age and with a similar health condition to Remigio’s, which was the result of a car accident. He was also using a wheelchair. Remigio and Dave were coming from different worlds of dealing with disability but they both had similar sadness in their eyes. And there was also Emilka, a Pole from Canada. – Emilka has the same disease as I do – muscular atrophy. Unfortunately, her disease is progressing quickly. The girl is younger than me. She is beautiful. Beautiful when it comes to appearance and internal energy. I can only imagine what must be boiling in her head…. – says Michał, ending his statement with these three dots and making us try to understand his thoughts, or not even try to guess them. The message of the expedition will stay alive for a long time, especially thanks to Michał and Maciej themselves, their stories and a series of accounts on their trans-American journey contained in the book “Wyprawy i podróże” (Expeditions and travels), which will soon be released. The map of WheelchairTrip route. – If you want to go on a journey, think it over three times about whether you really want to do it and whether it makes sense. If the heart says “yes”, then you have to go. Otherwise, you will regret that you did not do it for the rest of your life. 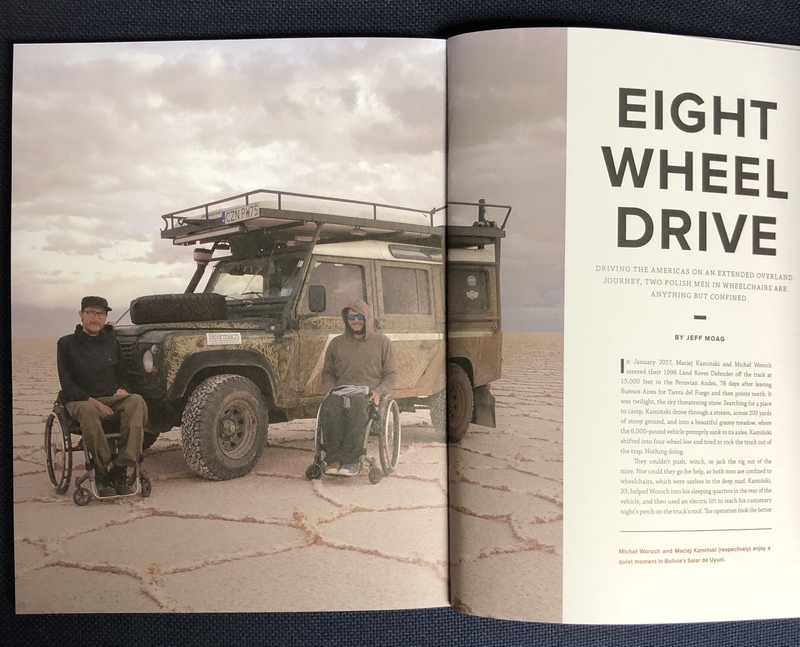 WheelchairTrip already in Adventure Journal, Oct. 2018 Page 102 – Interesting story.